How To Become An Independent Nurse Provider In California? 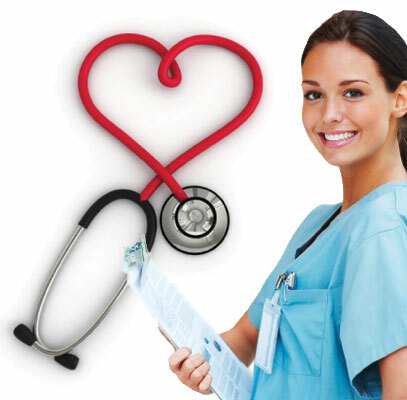 Looking for Independent Nurse Provider In Contra Costa County, California? Home Health Care Industry in Contra Costa is booming at a higher pace now a days, so growing your career as an Independent Nurse Provider could be the best decision for you. Each one of us want to attain stability in our lives both financially and mentally, so here at Proinp, we offer you the best home healthcare and medical billing services in contra costa that can help you attain your desired career goals. If you want to be an Independent Nurse Provider in Contra Costa County, CA then Proinp is the best option for you. Just leave your financial medical billing worries to us and enjoy the best care for our medically fragile population in the most comfortable setting. Home Health Care in Contra Costa County, CA can be categorized as either non-medical (home care) or Medicare certified (home health). Non-medical home care includes personal care and help with everyday activities, while Medicare certified home health care in Contra Costa County, CA ranges from skilled nursing to physical / occupational therapy. counseling and educating patients on health behaviors and self-care skills. The whole process of getting a licensed vocational nurse jobs in Contra Costa County may be very time consuming and confusing however, Proinp provides end to end solution on the application submissions and requirements. Proinp is efficiently dedicated to offer the best medical billing services in california to its clients. Our Medical Biller assists you the best billing services by communicating with you on an ongoing basis. At proinp, we offer suggestions to plan of treatment creations and treatment authorizations. The Contra Costa Medical Billing services are for both Independent Nurse Providers Contra Costa County, CA and other organizations that include DME’s, Pharmacies, private duty nurses and home health agencies. It’s as simple as it is, we care for our clients so want to minimize their financial recordkeeping worries and to keep your trust on us as a brand. At Proinp, we provide you the best consultation services to become an Independent Nurse Provider in California through Medi-Cal (California’s Medicaid program serving low-income individuals, including: families, seniors, persons with disabilities, children in foster care, pregnant women, and childless adults with incomes below 138% of federal poverty level). Apart from Contra Costa County in California, Proinp also serves in various other counties mentioned below. Fresno County and many more. Leave your worries on us and we will provide you with the best outcomes. Copyright © 2016 ProINP . All rights reserved.